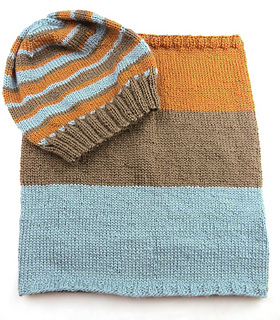 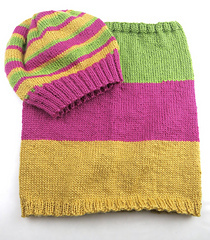 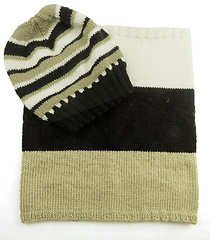 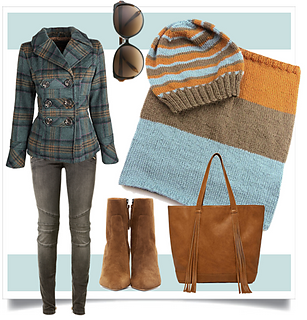 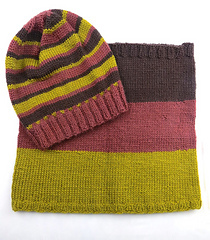 This cute and cozy hat and cowl set is knit in washable Sebago; 100% Australian superwash merino wool. 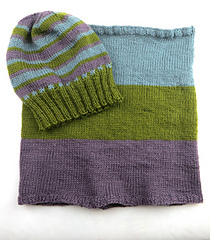 You will need 3 146-yd hanks in complimentary colors, a ring marker, 16 in circular needle in both sizes and dp needles in the larger size for the hat shaping. Yarn packs that include the specific colors and pattern are available through our retail partners.